Discussion in 'Downhill & Freeride' started by guiepinto, Aug 5, 2012. I started using this stuff when my XC buddy brang it into the shop. I use a couple of the products to mostly battle dehydration and exhaustion. Plus the stuff isnt loaded with simple sugars you will find in most energy or powerade type drinks. I really do notice the difference when I using it and when I'm not using it. Wow man... I could not DISAGREE more. If there is anywhere on god's green earth where you DO want to take frequent breaks, and never ride when you are tired, it is Whistler. Take your time and don't rush anything or you will be injured. Oh yes... I agree with you... My point is that I don't want to feel tired as easy. And with some suplements I expected lasting longer before taking frequent breaks. Don't ride in the heat of the day, and remember its a lot cooler up Garbo! And you don't spend as much time queuing in the sun. Keep hydrated, when you're thirsty it's too late, there are taps, use them. Warm up and stretch, and cool down at the end. Crank it up is not a warm up, neither is smashing a quick lap of Aline, spend time stretching. Eat properly, make sure you have a good breakfast. EPO and HGH combo, you'll be set. Creatines and stuff are going to give you an extra boost of energy for a couple of seconds, but that's it. The biggest thing with creatine is that it hold water as energy in your muscles. This means that you have to keep hydrated or it does nothing, it's very hard to keep hydrated in the heat that in whistler at the moment and if you want to go out and get wasted you WILL have the worst hangover known to man. You are way better off with a good protein supplement (natural proteins, not much sugar, if any) after riding to help your muscles recover after riding and a magnesium supplement which will stop your muscles from twitching and holding calcium in them after riding so it will reduce soreness. Have hot cold showers if you are feeling sore as well. Keep hydrated, using a electrolyte mix if possible, if not try and have a little more salt in your diet, it will minimally top up your electrolytes. water and electrolytes. It's got what plants crave. Energy is not stored as water, don't be silly. Creatine increases PCr pool which donates a phosphate to the ADP to convert to ATP. This allows you to have quick ATP production which is not only useful for short intervals but on the long run. I've used clif shot electrojuice on longer rides with great success. I never thought I'd be able to ride 20 mountain miles at a time, but a little salty water and I keep up. I don't think there's a presto-magico-pill for this. You shoulda started riding harder/longer about 6 mos ago. Clif drink is tasty. BC-EPO is kine. Viagra for the night life. based on all the research i have seen, chocolate milk is the best recovery drink on the planet. specifically you need lots of carbohydrates (chocolate) and protein (milk) within an hour of heavy exercise finishing. other than that, get super well hydrated, and stay that way all day, this will keep from your muscles burning during use. Being able to ride consistently at a high level for 6 days a week happened gradually for me, and required a shift in lifestyle and diet. Expensive powders are a convienent way to consume nutrients on/after the bike, but they don't mean much if you're chasing them with 5 beers and a pizza when the lift shuts off. Predictable fresh feeling muscles are the result of a 24 hour approach to recovering, one which you'll have a better time not worrying about while living it up in Whistler. Enjoy your trip, drink water, eat more food than you think you should, stretch whenever you remember, and relax whenever your not on the bike. Wish I was there, you're going to have fun! based on all the research i have seen, beer and steak is the best recovery meal on the planet. Specifically you need lots of carbohydrates (beer) and protein (steak) within an hour of heavy exercise finishing. Out of my 4 years of working out , lol please dont offer advice to someone . start strengthening your hands now, you won't be able to hold onto your bars after a day or 2 of hard riding if you aren't ready for it. ^ dfinn is right, but again, hand strengthening all Winter and Spring is the best way to do it. A Gripmaster is the best paperweight for an MTB office drone to own. yeah, i'm pretty sure it's too late for him at this point. I'd resort to plan B, ride every day until he can't take it anymore and get hammered every night. What's so magic about whistler? Why is it worse to ride tired there than Mammoth, Mountain creek or any other place with a chairlift? I bet I could fvck myself up really well at all those other places too. Whistler's neat and all but it's still just riding bikes..........something that everyone here would theoretically already be doing anyway. 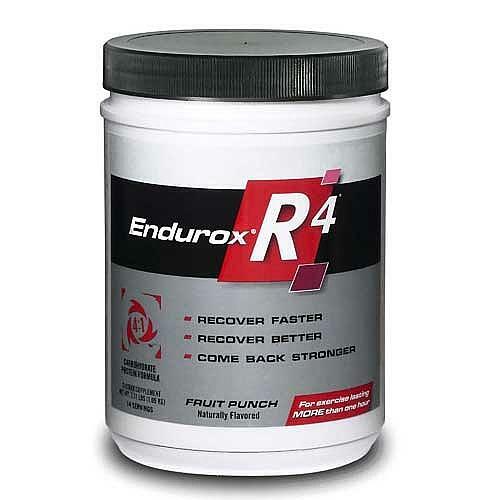 This stuff is the real deal for recovery. Drink it within 30 minutes of exercise for the best benefit. Pound abottle of this, then hold off on the beers for 45 minutes or so. Yes, it works! It's the brake bumps. They are pure magic. The last couple of days they have been closing trails to do maintenance on them. I think (hope) they are paving them. Ive been researching and using workout supplements for about 8 years. Im by no means a body builder, but I try to keep as fit as possible and sometimes my job takes me away from being able to have a perfect diet. To answer your question, A well balanced diet, with plenty of hydration is the key. However, I live by these staple supplements and I have no issues with recovery. a low Carb Protein isolate such as Myofusion Probiotic or Promasil, they also have a good BCAA complex. And stretching, and sleep is also crucial. Thats how ive been rolling for the past few years and I feel fit as a fiddle and am rarely sore enough to not be able to ride day after day. I think what's implied is that most of us are flying in for 4+ days of solid Whistler riding. Those other hills are more day/weekend spots. Not saying that no one's done a full week at DiabloCreek or Mammoth... but I wouldn't be spending my time/money doing that. Another difference also is that Whistler is open from 10am - 8pm. It's pretty tempting to ride from open to close on your first day, I know I did that last year. I was f'ed for that next day. Shlt, they gots dirtjumps to play on in the evenings. And beers sit on that start hill really well. Btw, when I went to Whistler last year I didn't take any supplements, just hamburgers and beer. I did pretty good. Just got back from 6 days of consecutive riding @ Whis. I only ride downhill on the weekends when I'm at home. I do however do alot of Crossfit with a strength cycle on the side, in addition to 2-3 days of all mountain riding when back home. 6 days in the park for me wasnt bad at all, wasnt a single day I woke up where I was sore or wore out. Rode from about 11-6 everyday. If you have the type of lifestyle where nutrition/fitness is part of your daily life its a no brainer you need to quickly realize to up your food/caloric intake to support being on the bike for 6-8 hours vs your regular activities back home. When in Whis, I ride, I drink, eat good food with a **** meal for dinner(Dupps/Splitz etc), and have fun. Only supplementation I take when back home is Whey Protein post workout, Fish Oil, and a multivitamin, you can accomplish everything from a recovery aspect with good hydration and quality food intake. If you had to pay attention to one thing its hydration, drink water whenever you can during the day, and post rides, and especially before bed. If you drink excessively, make sure you drink even more water before you go to bed. Dont expect to go out and have a good day on the hill if your piss looks like Orange Juice, not gonna happen haha. If your just that sore, maybe embrace a squat and deadlift routine with pullups to condition your body way before attempting a long week at Whistler, be suprised what that will do for your riding.